Robert Mullin, author of the speculative fiction/fantasy Bid the Gods Arise, invited me to participate in this blog hop several weeks ago. I got a bit side-tracked publishing my current novel, so forgive my coming late to this party. Late last week I began re-reading my rough draft of For King and Country, the sequel to Battle Scars Book I: Men of the Cross. I wrote the draft of Book II between late January and October last year and then set it aside to do the final edits on Men of the Cross. I hope to have a first draft ready before the end of the year to share with beta readers. Of course, the post-traumatic stress syndrome (PTSD) angle intrigued me. I have observed friends with PTSD. I am a Navy veteran who had some stressful experiences because of the job, though I wouldn’t say I suffered from PTSD. I read a number of articles about it, but Henry’s experiences in the novel come from my own gut feelings. As I noted in my author’s note for Men of the Cross, I wrote the last chapter of the book first – a short story I shared with my writers group. They wanted to know more about these characters, and I had a story to tell. I filled in the 97,000+ words that came before that last chapter and have a novel packed with conflict – between armies, between individuals, and in their own hearts and souls. It’s been different for the three novels – well, 2 novels & 1 rough draft – that I’ve written. I have character sketches for the main characters, though initially they aren’t fully drawn. In the case of Men of the Cross, I learned about Henry and Stephan as I wrote and fine-tuned them in subsequent drafts. 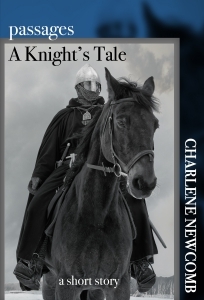 I have been told the two knights are believable, act as the reader expects, and grow and change as the novel progresses. As I work on the sequel, I already know them well. Twelfth century chroniclers provided me in depth accounts of the events of the Third Crusade. I poured over the battles, over places, dates, and politics to determine how those intersected with Henry and Stephan’s lives. I have a spreadsheet filled with those events. The two knights served King Richard, but they weren’t so close to his inner circle to be privy to all of Richard’s actions. My first drafts tend to be heavy with dialogue. I know what needs to occur in a given scene, know what I need to drive the plot forward. Narrative has never been my strong suit – I struggle with it, and fill it out in later drafts unless I have a very clear picture the first time around. I *think* I’m getting better at it. I create an outline that may consist of 1-2 bullet points per scene. I add to that outline as the scene becomes fleshed out in the writing process. I began using a writing software called Scrivener when I started Men of the Cross. It organizes everything on one screen for me – the outline, character sketches, research notes, and suggested plot twists and turns. I can easily add new scenes or shuffle them around, and with one click, I can check a character sketch – did he have blue eyes or green eyes? I feel that Scrivener has allowed me to focus and be more productive. The rough draft of Battle Scars II was completed in half the time of Battle Scars I. All right… Time for me to get back to Book II. In the meantime, you should check out Book I of Battle Scars. It is available in print & digital versions via Amazon, Amazon (UK) & other Amazon sites worldwide, and on Nook. Better late than never to the party. Thank you for sharing your writing process.